Missouri Education Watchdog: A Lack of Faith in Christian Schools? At almost all of the talks I give on common core around our state someone will ask me what is happening with Common Core in private and parochial schools. I can always tell them what I know from having talked to leaders in the St. Louis Archiodese and from what I hear from parents whose kids attend catholic or other Christian schools. Many of these schools are adopting common core. What I can’t explain is the why; explain that is without having to point out an apparent lack of faith. My own view of public education is that it is like the Titanic, and like that tribute to the latest engineering knowledge and marketing hype, it will most likely not live up to expectations and is probably going down. My goal therefore has been to make sure that there are plenty of lifeboats for those who want to get off. Parochial, Christian and private schools (as well as home school) have been those lifeboats. In terms of education, many of these schools have offered the kind of quality, classical education that most parents want. Their graduates are desired by colleges and universities because they have been prepared for the (pardon me but I cant help using it here) rigor of college course work. They also tend to be a better class of person, meaning that they recognize a greater power outside themselves and have some ability to recognize their obligation towards their fellow man. All generalizations I will grant you, and I’m sure we can all point to exceptions within the parochial school system. There is usually one person everyone would like to throw out of the lifeboat. However, statistics support the generalization, and such schools have been successfully promoting this effect in their recruitment efforts. 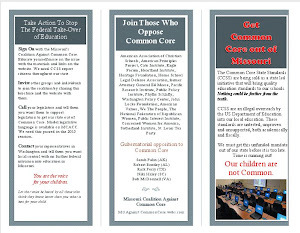 TruthIn American Education reported that the National Catholic Educational Association (NCEA), the largest private professional education organization in the world is actively promoting and marketing common core, these Nationalized one-size fits all standards by providing teaching materials to Catholic Educators all over the country. Because the CCSSI standards are not evidence based, meaning they have never been used anywhere and thus have no proven track record of the results promised, there is little reason for private schools to adopt them when they already know what their own standards and curriculum produce. This is one of the reasons it is so hard to understand why Catholic and Christian schools would consciously choose to adopt Common Core. Why not let the public schools pilot them for a few years, knowing your own product is currently superior and several reviewers have declared CCSSI middling at best? A hint at the rational behind their decision may be found in these comments from the American Christian Schools Institute. · CCSS are a reality and that school educators will need to be generally aware of the impact they will have on curriculum, instruction, and assessment. · … as the CCSS become the “national consensus” it is expected that parents and supporters will begin to ask about how the school curriculum and achievement results aligns with the standards. · The standardized testing vendors are already in the process of alignment of their test items with CCSS and developing reports that indicate the level of mastery by students on the aligned items. Similar sentiments were expressed by Dr. Lorraine Ozar in a July 2012 presentation, “Catholic schools need to pay attention to the fact that the common core standards are here and it is important to get on board”. Since private schools are not obligated to adopt common core, these suggestions are perhaps a reasonable middle ground. Number 5 is key but, as they noted, once everyone else has fully embraced common core, finding text book and test suppliers who will provide you products for all the content you are teaching above the standards will be close to impossible. If everyone else thinks the standards are the top, where does that leave you 5-10 years down the road? Most likely at the bottom like everyone else. I struggle with writing on this topic because I am not a bible thumper by any means. I have never put my own children in Catholic schools, but I have always appreciated the alternative they offer. I admire those who can speak their faith in public and who struggle each day to live it. 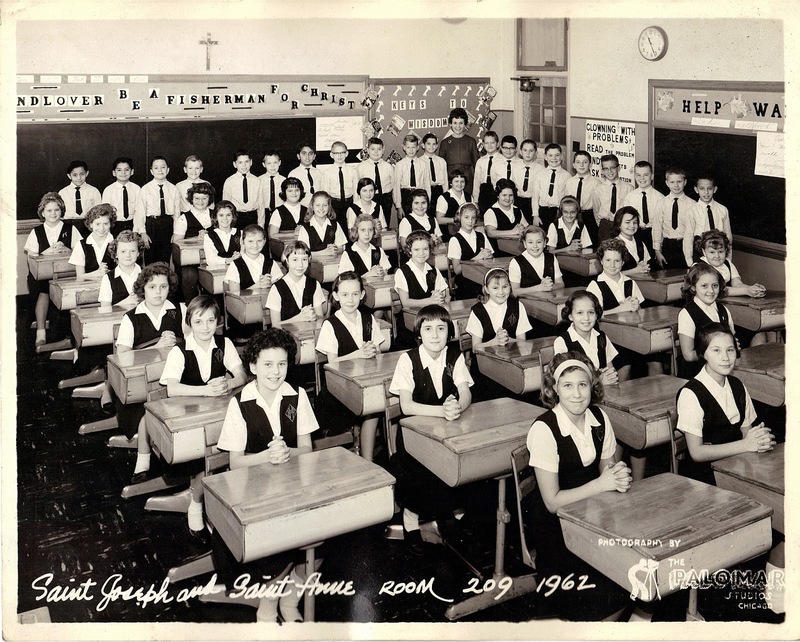 Perhaps that is why the position of diocesan schools to adopt common core seems disappointing because it shows a preference for the goals of the secular world (which we should remind them is workers for the global economy) rather than the spiritual goals they have for so long embraced. John Adams said, “There are two educations. One should teach us how to make a living and the other how to live.” Christian and parochial schools have been providing both for centuries. The public schools have been promising recently to deliver both. Given their track record of political correctness, the part about teaching children “how to live” takes on a more ominous meaning. I can’t help but see a bunch of lifeboats with holes in the bottom, slowly sinking next to the Titanic. we can do at home for free, thank you). Anyway, please know that I find this post dead-on and appreciate what you're doing! The writer was correct. There are Catholic schools and Christian schools. It's not about lack of faith... it's about MONEY. At least in Chicago, anyway. The article presents an honest and brilliant account of what we are facing as citizens as well as parents with the new Common Core. Other auxiliary approaches are also being tied into Common Core including teacher evaluation based on student test scores, teacher evaluation with the "Danielson method," and I-zone teaching where the teacher assists the computerized program instead of the computer software being a tool for teaching. It is more than a full court press to take over the minds and hearts of the citizenry with a new concept. To me, the impulse towards totalitarianism is clearly present. It is also aligned with a move to extend control over the students from age 2 to 22, or even older with compulsory daycare. And at the same time Arne Duncan, Michelle Rhee, and others want to see an extended school day, extended school week, and an extended school year. 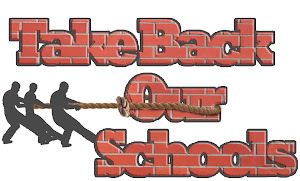 Many school districts have already eliminated summer vacation, and space vacations throughout the school year in two or three week blocks, but keep their schools basically running throughout all twelve months. Because of the increased costs involved, it is difficult to implement all these "extensions" but, believe me, they are on the table. I try not to see sinister motives and methods in all this, but it is becoming increasingly difficult for myself or any thinking person not to acknowledge that dark forces are loose in the educational systems of our countries that are anti-family, anti-faith, anti-federalism, anti-privacy, anti-individualism, and, incredibly, anti-achievement. I could give examples from my own 20+ years as a high school teacher that would knock your socks off. Thank you Missourieducationwatchdog. How can we not see sinister motives when the new buzzwords are "womb to tomb" and "human capital"?